Does anyone like Lancome products? If so, I may have the deal for you. Please keep in mind that Lancome products are very expensive, so I’m guessing this deal may not appeal to lots of you. Through November 20th, you can score FREE shipping on any order. Plus, you’ll receive FREE deluxe samples of Dual Finish, L’Absolu Rouge Lipcolor and Juicy Tubes with any purchase too – no promo code required. On top of that great deal, you can get this Limited Edition Beauty Box ($330 value) for just $52 with any $36 purchase. Just enter promo code BEAUTY09 at checkout. Also, this Juicy Tubes Gloss Set is priced at $39.50 – with a retail value of $81 and will qualify you to get the Limited Edition Beauty Box for $52! And don’t forget to go through Ebates! You’ll get a $5 sign up bonus if you’re a new member and 12% cash back from your Lancome purchases Just go to Ebates and login or register, then in the store drop down menu, find Lancome. You will then be redirected to the Lancome site and you can start shopping. 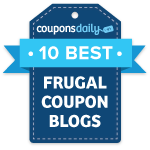 Plus, get $10.98 back from Ebates. 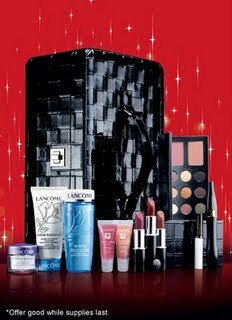 Final price after cash back: Only $80.52 – and that’s for over $410 worth of Lancome products! Like I said above, this total may seem high to some of you, but this is an awesome deal for this brand! *If you’re not interested in this exact deal, but want to purchase some items from Lancome, be sure to check out all the promo codes available on RetailMeNot!